Jaime Garcia, Don Pepin Garcia’s son, has been hard at work creating cigars to rival the success of the My Father cigar, which was ranked #3 in Cigar Aficionado’s 25 Best Cigars of 2009. Earn up to 178 Points Points. This brand made its first appearance in NYC during a special event on December 2009. The cigar, which at that time did not have a specific name, was made in only one size for that event. 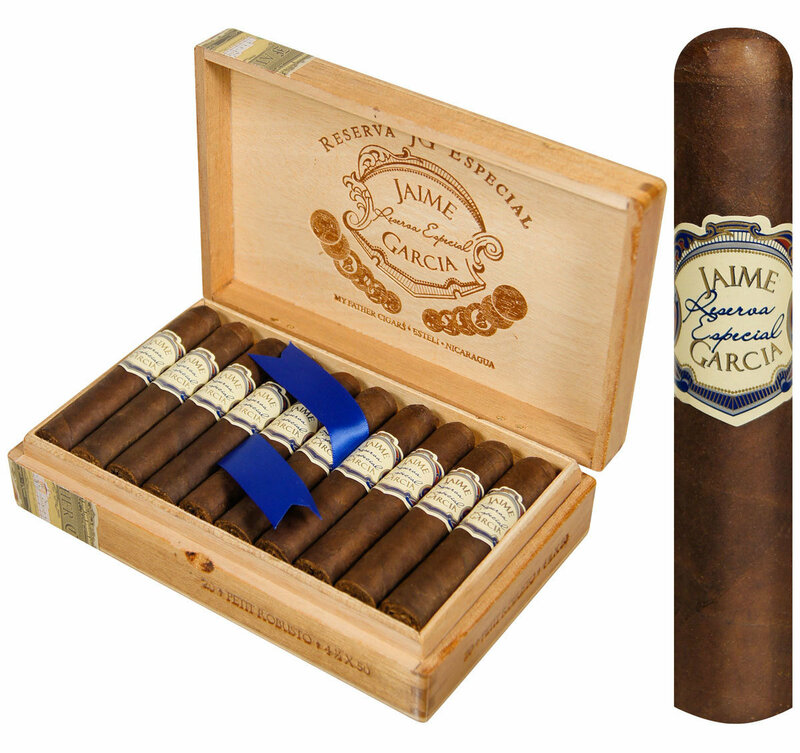 It was so well received that Jaime Garcia decided to incorporate into regular production using his own name for the brand, called after that night “Jaime Garcia Reserva Especial”. This Medium-to-Full Bodied cigar, made at My Father Cigars S.A., has an oily and dark broad leaf wrapper, which provides it an exceptional smoke with an incomparable aroma. It comes in six sizes, packaged in natural wood boxes of 20 cigars. The beginning of the cigar starts out as a thick, creamy smoke with slight nuances of earth and cedar spice. Reserva Especial quickly builds into a medium to full bodied experience with decadent notes dark chocolate and espresso beans. A complete 180° from anything I’ve ever smoked that’s come from the Garcia family. I’m expecting great things to come from Jaime Garcia in the future; he has the experience and skill to create another Top 25 cigar.